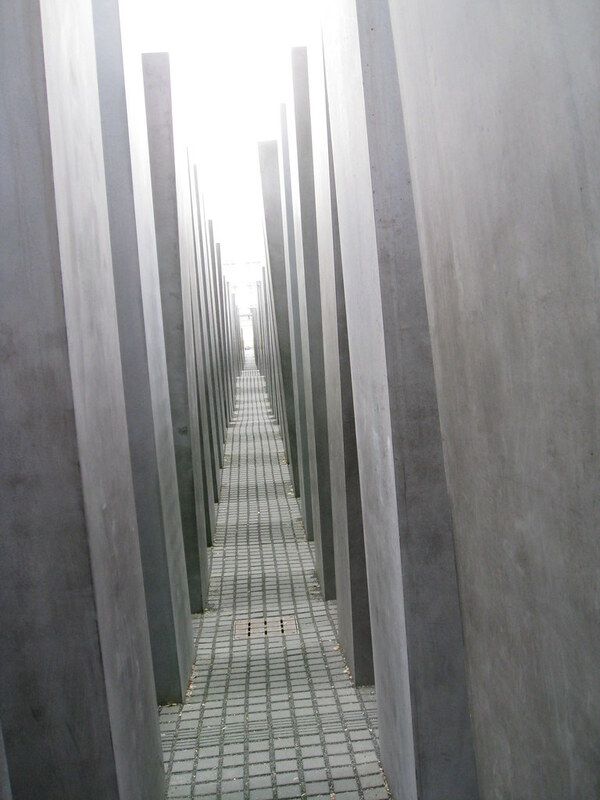 The Holocaust memorial is dedicated to the memory of the thousands of Jews murdered by the Third Reich prior to and during World War II. It took over a year to complete and was opened in December 2004. 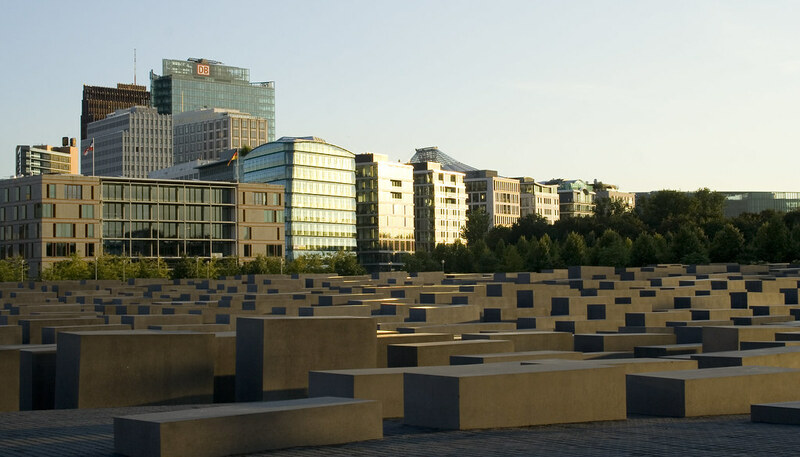 It is located close to the Brandenburg Gate and not far from the bunker where Hitler committed suicide. 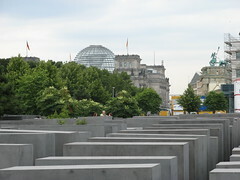 The memorial was designed by Peter Eisenman and consists of austere rectangular grey blocks, void of any decoration. The 19,000 square meter site is not level and the blocks also vary in height, ranging from 0.2m to 4.8 meters. Except for their dimensions, all blocks are identical. 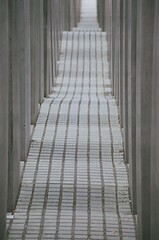 It is thought Eisenman wanted the visitor to feel uncomfortable and confused as they wandered through the undulating ground while at the same time being aware of the orderly shape of the rectangular blocks. 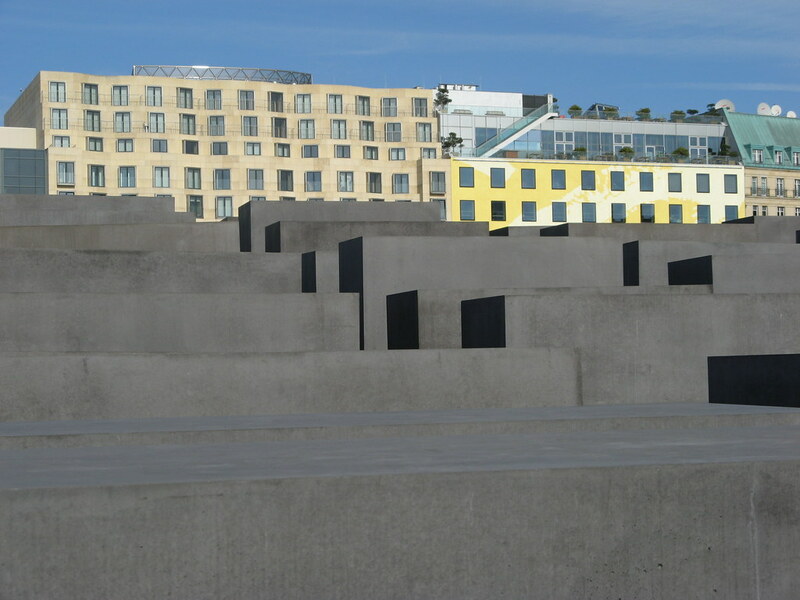 Many believe these blocks were to symbolize the outwardly perceived order of the Third Reich while the contrasting disorderly terrain and the different dimensions of the blocks were to reflect the despair, confusion and fear of the Jewish population. The monument's controversial symbolism is open to personal interpretation. Located adjacent to the monument and below ground level, is an information center, which chronicles the stories of the Holocaust survivors. They relate in graphic detail the brutality of the Nazi regime that was inflicted upon them. 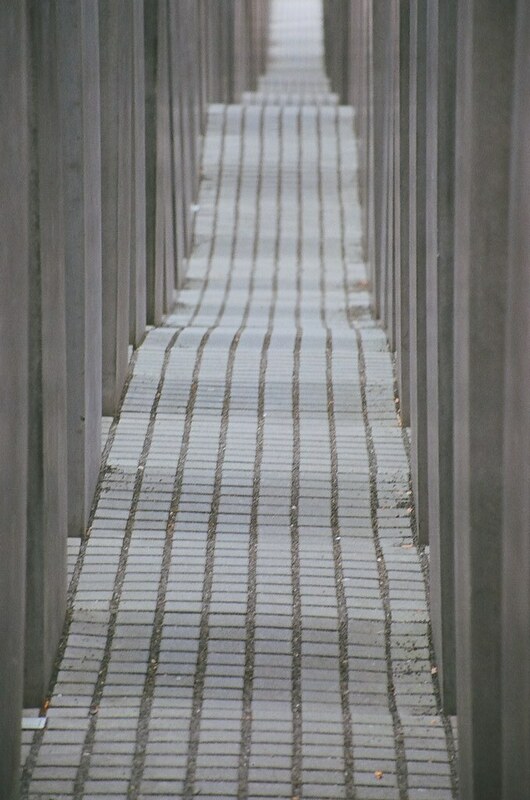 The Holocaust Memorial is a thought provoking and somber site where visitors walk in silence and try to envisage the horror rained upon the Jewish population during the Nazi era. 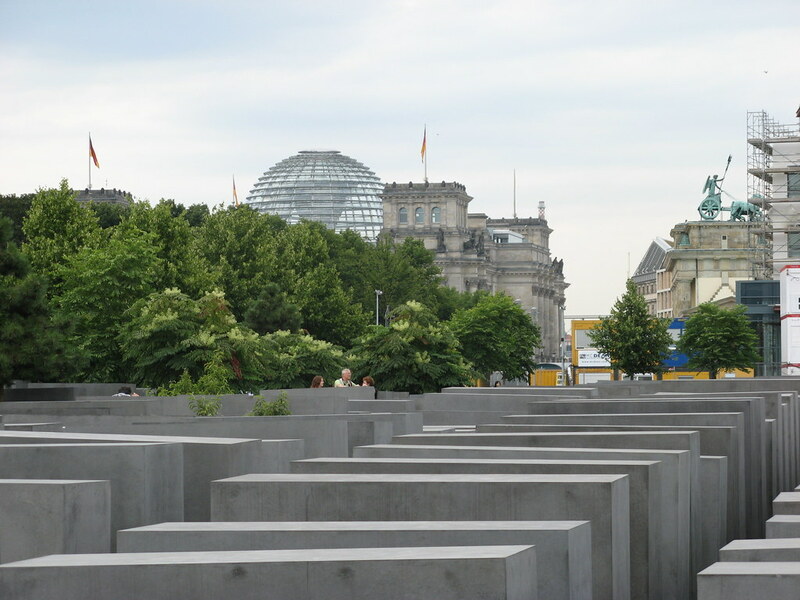 It may be wise to visit the information center before viewing the memorial so that you can reflect more fully on the horrors of the Third Reich. The sound of death and suffering is deafening as you walk through 14ft columns. 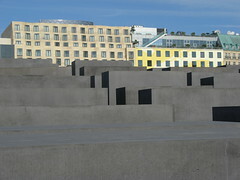 Have you already visited the Holocaust Memorial? If so, let everyone know what you thought about it by writing a review! No registration necessary. Just click here to start writing! 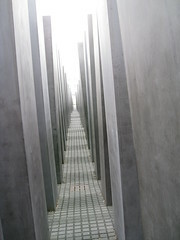 View all Holocaust Memorial Pictures.